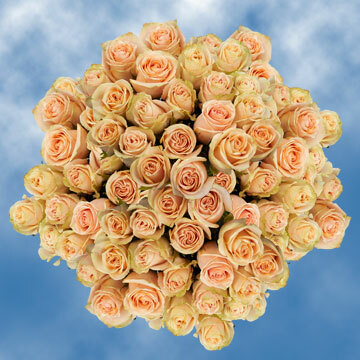 The High & Arena Roses are Light Peach Roses worthy of gushing over. 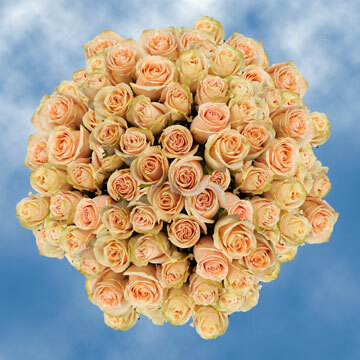 More classic, historically speaking, than their red counterparts, these luscious blossoms are a delightful blend of youthful pinky innocence in a peachy complexion swirled with a flirtatious light pink center and outlined by greenish guard petals for extra drama. Yes, these blossoms are truly dynamic. 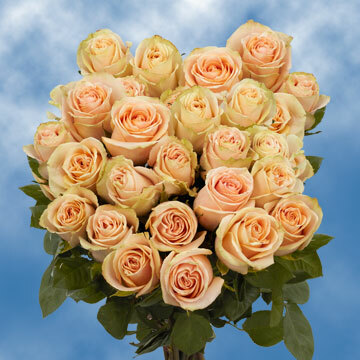 Eternally a symbol of outstanding beauty, it is hard to go wrong with these online blossoms, their hue possesses that desired warmth we seek from flowers and adds a dreamy quality to them that transports the mind to low-key summer days, first kisses, budding romance, the purity of youth, and tender feelings. All of this is accessed in merely a glance, and for that, they deserve an applause. 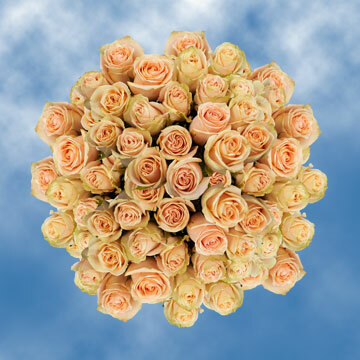 Could you want more in your light and delectable peach floret? Some fresh cut blossoms - and by "some", we mean a lot - were never anything but a delicious addition to moments of life where we want to add a twist of luxury. 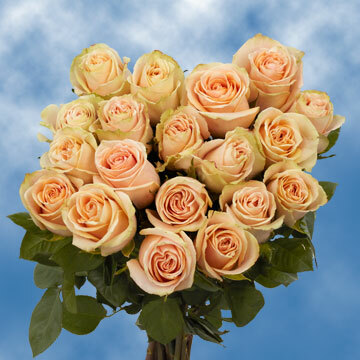 It does not matter if it is "Just Because", or for a birthday, a wedding, or Mother's Day, these Light Peach Roses will be appreciated wherever they go...they would not have it any other way. You can expect a free delivery with your order and only the best service out there, with your orders having been hand-selected for you upon having received your order. 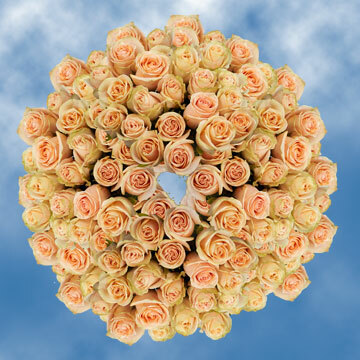 You won't want to miss out on these blooms! So gorgeous, they will definitely stir things up!